Wow, that's so beautiful, thank you for sharing! This is pretty, but Gin's eyes are too big than usual. lovely beautiful scan, the colors are perfect, nice quality, and although i don't really like gin's personality, i do love him for the fact that he really seems to love matsumoto, and this is one of my fav couples. i love the pic i think it so pretty and cute! and i love gin personality to! This couple rock! Thanks a lot. is that pic, make by the same artist who draw the art of "Trinity Blood"? 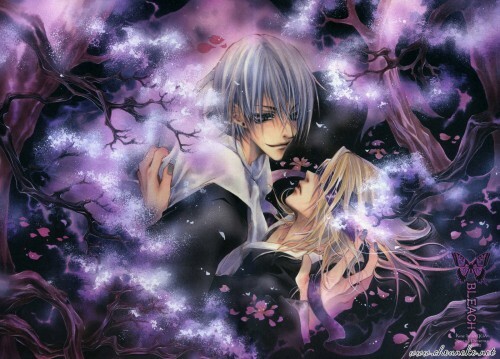 I love Gin x Kira and I love how Kine made them... so intense! Thanks for the Scan!I love it! thanks!